An official document, which is given to employees to inform that they are fired from the job. E.g-1. “Saying no” sounds great in theory, but it’ll earn you a pink slips in practice. 2. It got a pink slips after just four months on Broadway. 3. 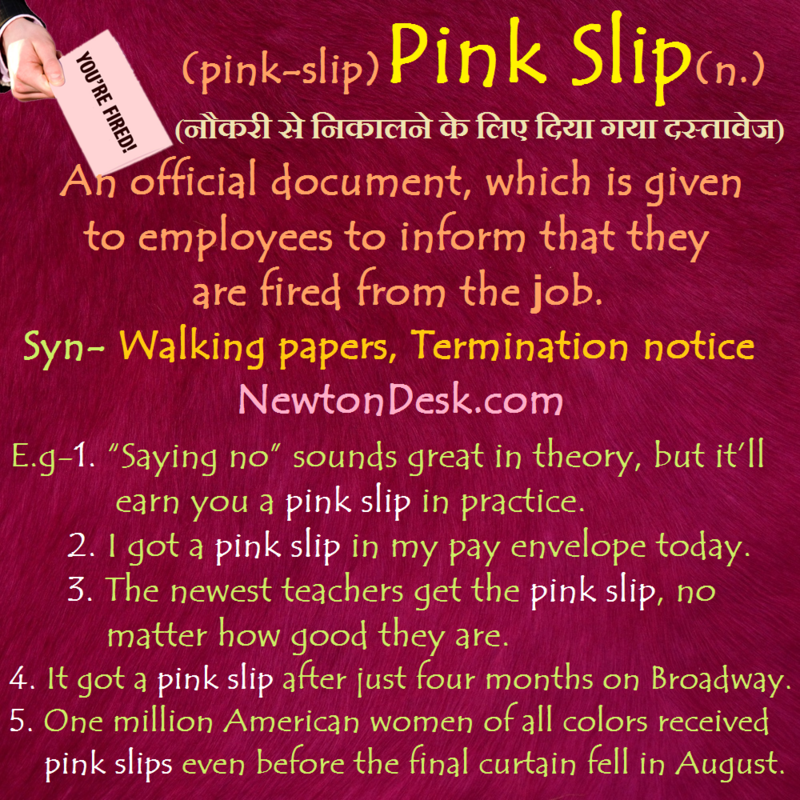 One million American women of all colors received Pink slips even before the final curtain fell in August. 4. The newest teachers get the pink slips, no matter how good they are. 5. I got a pink slip in my pay envelope today.